A second explosive round in the new Global Champions League team championship kicks off this Sunday with formidable rider combinations declared for the thrilling new competition. A big audience is expected for the second leg of the GCL after an exhilarating debut in Miami Beach last weekend which saw John Whitaker (GBR) and Bertram Allen (IRE) seize victory for team Valkenswaard United. This Sunday the dynamic duo, representing the older and younger generations of top-level show jumping today, will again unite to capitalise on their early advantage and extend their lead in the GCL ranking. The unique competition means for the first time ever the world’s highest ranked riders compete together on a team adding a completely new dynamic to the sport. After their win last week John revealed their team tactics and said their strategy to go clear and go all out for speed paid off. And this Sunday will be a big test. Riders and horses move from the more compact sand arena in Miami Beach where the Atlantic Ocean and the crowds are up close, to the huge contrast of the expansive Mexico City grass arena which is over 2,250 metres above sea level. 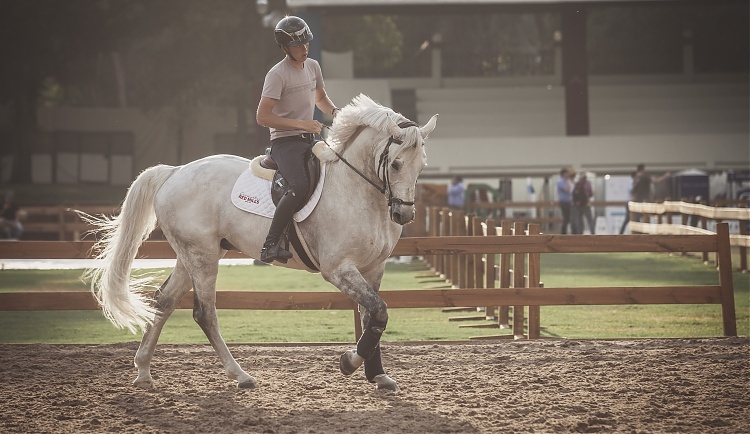 The new venue in Mexico City will mean another round of intensive team talk to see which horses will fare best and play to their strengths in the wide grass arena. Fresh from her LGCT Grand Prix of Miami Beach win last weekend, Edwina Tops-Alexander (AUS) will join Janne-Friederike Meyer (GER) for the Shanghai Swans, who will look to continue their top form and are sure to be a dangerous combination in this round of action. The Antwerp Diamonds sit just three points away from the top of the ranking board, and will see the impressive combination of experienced Dutch champion Harrie Smolders team up with rising star Jos Verlooy to try and improve their ranking at this early stage. Gregory Wathelet (BEL) will again be riding for the Paris Jets, with young talent Nicola Philippaerts (BEL) his teammate for this leg of championship. Other young riders will have the opportunity to compete on this dazzling new global stage with some of the best in the world. Gonzalo Anon Suarez will ride for Madrid in Motion with Pedro Veniss, Emanuel Andrade Suarez will compete for Vienna Eagles with Danielle Goldstein, Kevin Jochems will be in action for Cannes Stars with the speedy Roger-Yves Bost. World number three Scott Brash (GBR) will be stepping into the spotlight to join compatriot and young rider Jessica Mendoza (GBR), as Miami Glory sit just six points from the top of the scoresheets following Kent Farrington (USA) and Georgina Bloomberg's (USA) impressive opening competition at their home event. Sheikh Ali Bin Khalid Al Thani (QAT) will be in action once more following his strong result in the LGCT Grand Prix of Miami Beach, and this time will team up with fellow Qatari Bassem Hassen Mohammed (QAT), who has also looked strong in the opening event of the year. The Global Champions League of Mexico City will take place this Sunday 17th April, starting at 15:00 local time. For all the information, broadcast times and behind the scenes info, click here.